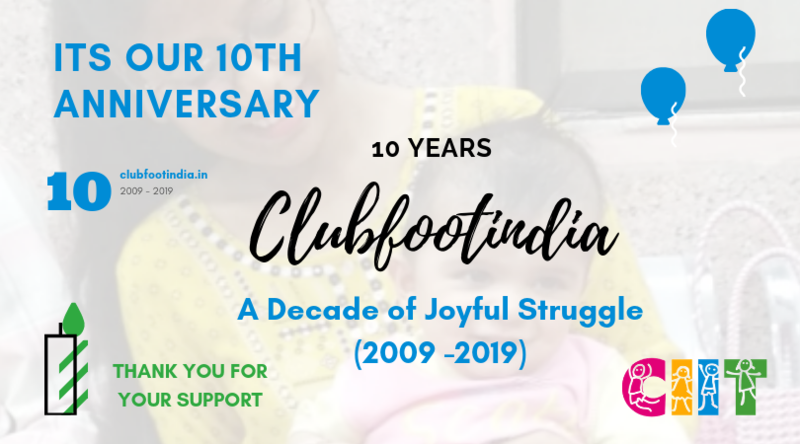 When Clubfoot India program was formally registered on the 8th April 2009, it was the beginning of a series of struggle. Struggle in retaining children on a regular follow up for 5 years. Joyful Struggle every day after day and today its a decade of several good and not so good struggle. Today when we look back at a decade of our journey, everything was worth the struggle. It is truly a decade of Joyful Journey. Together we made our dreams come true. In 2008 it was just an idea and an unclear desire to see many children treated for clubfoot in India. A decade of successful journey was possible only because of you. Doctors, Rotarians, Parents, Govt officials, Partners, Children, Well-wishers, Donors, Volunteers, Staff Team and the list continues. – We can only thank you on behalf of all our partners who raise resources and funds for this noble work across India. 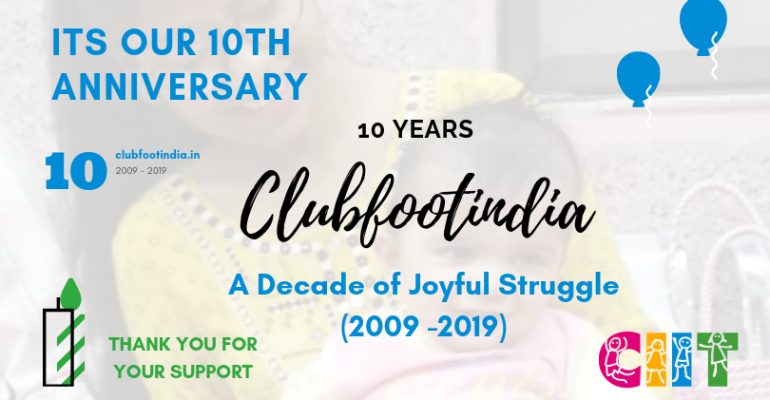 Our Joyful Struggle will continue until our vision to see India free of disability from clubfoot come true.